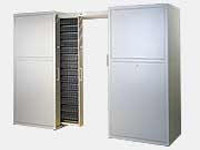 Your media needs to be safely stored and protected. AES offers a comprehensive line of solutions just for this purpose. We can assist you with choosing the proper storage solution for your unique environment, and our design team can furnish you with a suggested layout. Please click on any offering below to learn more. For the ultimate fire protection of your critical data, AES offers a wide varity of fireproof safes in different sizes and configurations. 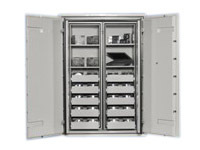 Gemtracs are high density, high capacity storage products designed for all type of media formats. 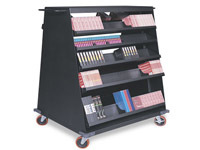 We can tailor these units for your specific applications. 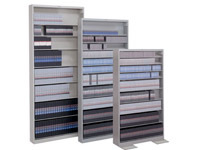 High density racks and multi-media cabinets can be configured in multiple sizes, capactities and heights to meet your storage needs. When moving media across your datacenter floor or to an offsite location, it is important that you use a secure method so that media doesn't get damaged.